Wow. What an experience! 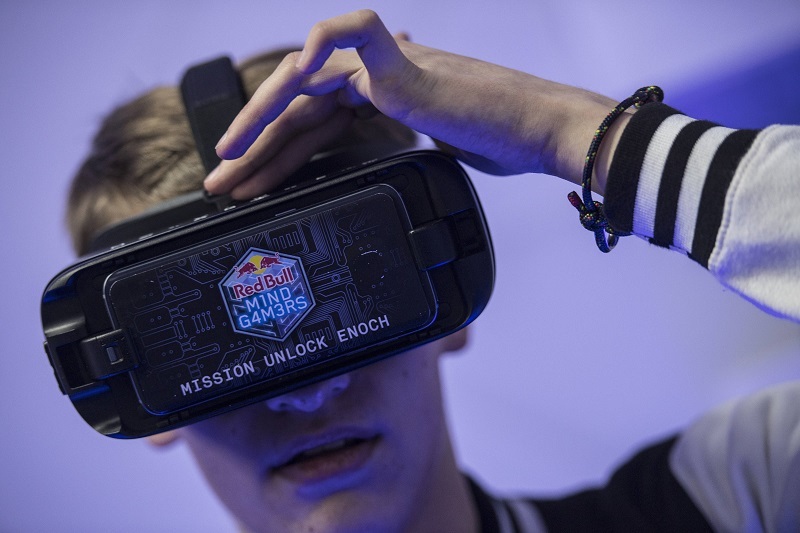 At the tail end of last week I was out in Budapest competing in the Red Bull Mind Gamers competition. 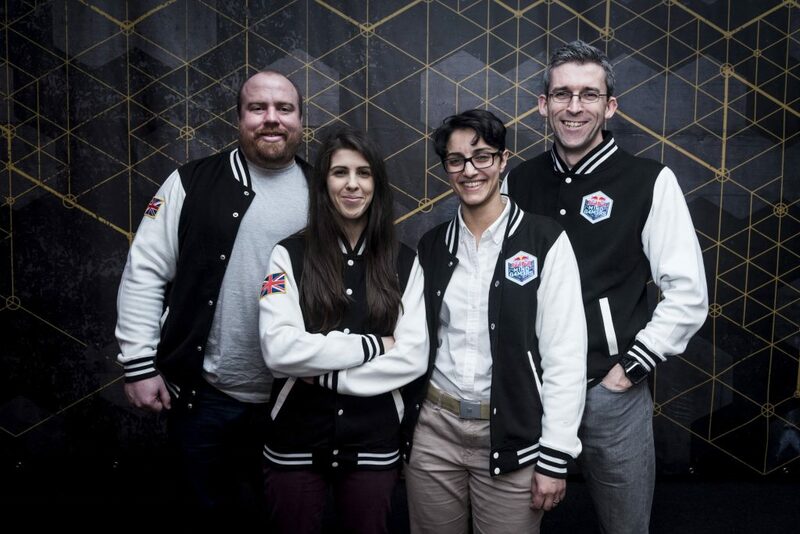 Billed as the first escape room world championship, I was part of the UK team alongside Sera, Sharan and Mark. For those of you in the UK escape room community, Sera and Sharan make up the formidable S² team while Mark is behind the blog ReallyFun.UK. If you’re interested in reading Mark’s take on the competition, you can go over to his posts. I *haven’t* read those articles yet but I’m sure they’re excellent. I wanted to finish my thoughts and not be too led by what he has to say. This post focuses on the semi-final and not on the rest of the competition. I’m starting there because plenty of people following this blog want to know how we got on and I suspect other participants will enjoy reading about our experiences during the game. Warning: it’s going to be a long post. I’ll be talking through the information we got before entering the game, followed by each of the seven puzzles, and then a little wrap-up covering what I perceived to be the overarching flaws in the puzzles. Oh and SPOILERS! It’s going to be a refreshing change being able to talk about an “escape room” in detail! Note that the development of the games was a process that involved many different groups of people, who were distributed across the world and coordinated by Playful Solutions. The initial design ideas were from Scott Nicholson and his students at Wilfred Laurier, and the games were then developed and built on site by Fox in a Box. 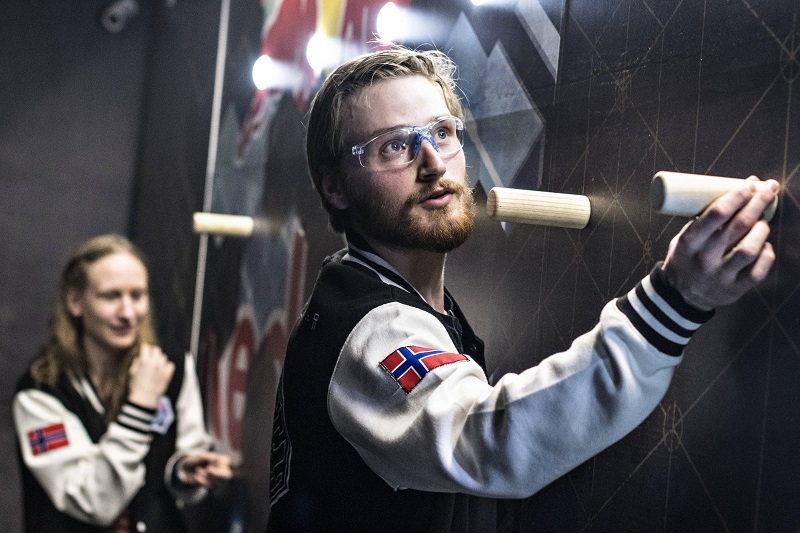 Red Bull TV provided input throughout the process as to what would be appropriate for the viewers. The criticisms and praise below should be taken in that light. Finally, everything that follows is my personal opinion and doesn’t necessarily represent my team mates’ views. The night before our semi-final we were shown the Mindgamers film and given a “research paper” that talked through some quantum principles. Scott Nicholson is a great believer in including a story in escape rooms, so this fitted in well with his philosophy – I expected there to be moments in the game where we had to think “what would we do next if we were in the story?”, and exposing the film/paper to us made that easier. Personally, I wasn’t a big fan. Aside from it feeling like homework, one of the things I really, really love about escape rooms is that you enter the game and have to explore, interpret and understand. You have no idea what’s behind the door until you start to play. We dutifully read through the paper, pulled out key snippets (for example, there was mention of polarisation that helped explain the “laser disc” game that you may have seen in the final) but went no further. I know that other teams went further and hypothesised about what puzzles might appear in the game. 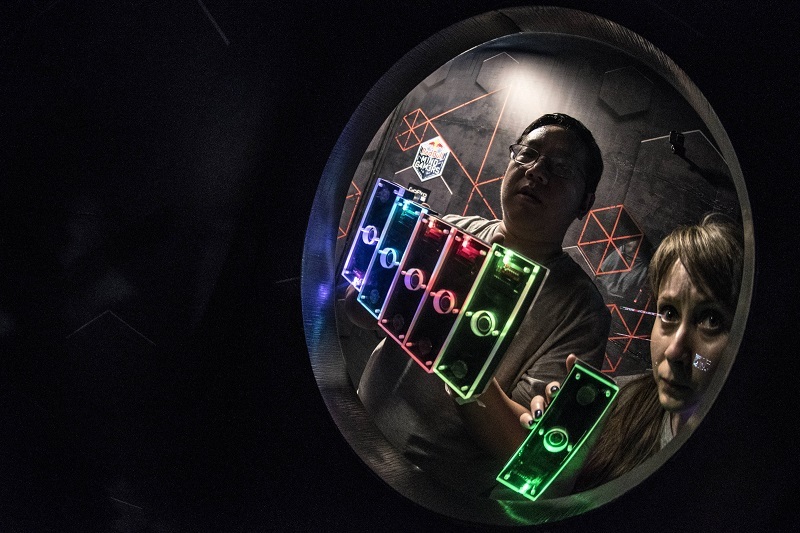 Aside from perhaps the qubit/wormhole puzzle (see below), I don’t think it had any impact on us, but it’s a good example of where they went in a very different direction from a traditional escape room. During the game you had a small unit on one player’s wrist which showed how much power you had left and enabled you to ask for “hints”. Sadly, it didn’t tell you numbers, so you couldn’t work out when a hint was permitted. Echoing something that happens in the film, just before you entered the game they put a temporary tattoo on your neck with an individual symbol. They didn’t say what it was used for, but it was clear there would be a puzzle where it became important. One thing I’d really like to highlight is how they’d explained escape rooms in the context of the story, which I thought was a stroke of genius. The research paper introduced the idea that the computer (called Enoch), in which the game was set, generated familiar environments to help participants understand and interact with the computer code. So, for example, firewalls were represented by lasers, and a circuit by a peg board. I thought that was quite a cool way of making an escape room legitimate. 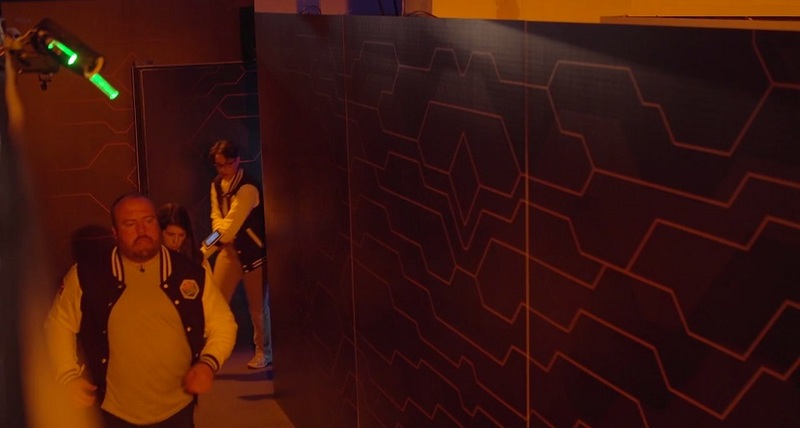 The first puzzle we experienced was a VR maze. 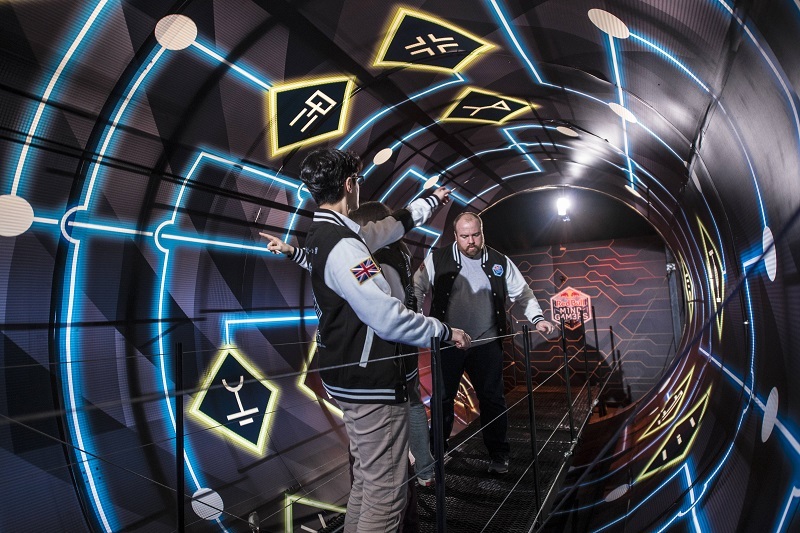 At first I was a bit disappointed (although not surprised) because one of the great things about escape rooms is their physicality, so falling back to VR lost a key element. Later, I changed my mind because I came to the conclusion that it represented your entry into the computer – you donned the VR goggles and at some point your reality changed so that, on exiting the maze, you found yourself inside Enoch. Inside the maze, you could navigate forward or right from your current room to the next one (possibly left as well in later rooms). Afterwards, we’d realise that the maze was a five-by-five grid of rooms with an entrance in A1 and an exit in E5. Each room had colours on the ceiling and a colour for the exit. It turned out the rule was that the colour of the room represented what colour you were as a qubit and you had to enter the next room based on what colour you could legitimately exit as. Some of that information was buried within the paper but, judging by people I talked to afterwards, very few people got that logic. And the logic? Qubits can’t change to their opposite colour so a red qubit can never become green. That meant that you could never leave through an “opposite”-coloured door. Even with the research paper, that felt quite a leap and still left you wandering aimlessly round the grid till you happened to find an exit. For some reason, the organisers happened to know I was colour-blind, but I don’t believe this was true for any other participants. They said before I entered the maze that my result wouldn’t count: once our remaining players had completed the puzzle we would be allowed to continue. In the end, I happened to be the first member of our team who escaped the challenge (purely by fluke) and, as I remembered the last couple of cells I’d passed through, I talked another player into getting there. That gave me another cell to reach, which helped the third player, and eventually we had enough information for player four to escape. At no point did we have any idea what we were doing, and all of us hit a penalty by making an invalid transition at some point. This game really set the standard for the competition from my point of view. It seemed to be littered with things that I consider design flaws, and the fact that most teams ended up just exploring the maze at random rather than learning the underlying rule makes it a total failure to me. There should be a clear reason inside the game for doing something, and here there wasn’t. Positives: Enhanced storyline by transitioning between real and virtual worlds. Negatives: colour-based puzzle, use of VR in a physical challenge, lack of rules in the game to help you understand what to do, penalties for not understanding rules. With the first puzzle completed, we rushed out the door and along the corridor to our next challenge. Except it turned out that the corridor was our next challenge. We spotted some fuzzy green lights on the floor and realised those were lasers. On this occasion, breaking a laser was bad because it would cost you penalties. Unfortunately, I was well into the maze before I realised that. Which brings me on to my final point, and something that came up again and again. If you’re going to penalise a team, TELL THEM. Don’t just let them continue to amass penalties in blissful ignorance. Positives: sort of fun challenge if we’d known it. Negatives: no guidance to the players that this was a challenge, no indication that lasers were bad, poor aesthetics (the lasers looked bad and that lost us confidence that this was a real challenge), silent penalties. Wow. If you’ve seen the film, then you’ll know that Enoch (the computer) is represented by a spinning vortex. If you’ve seen the final, then you’ll have seen the set we played in. For me, this was the highlight of the experience. Walking through the tunnel distorted my senses – I felt sucked in, symbols spun around my head and I was left feeling slightly disoriented. It really did mirror the film beautifully. I quickly traced through the maze and found the pair, ran to the tablet and pressed the two symbols. To my dismay a big red cross appeared. What did it mean? Had I got the wrong symbol? Was it just an option to “cancel” my input? I went and rechecked my result and came to the same result. I was convinced I was right. My other three team mates completed the puzzle at this point so we did the only thing we could and pressed the red button. It turned out that it represented deleting our identities from the computer. I think that use of symbology was flawed. It was just far too ambiguous. Instead, once you’d pressed the two symbols, they should just have disappeared (especially since there wasn’t a cancel button anyway!). Overall, though, it was a sensible puzzle with decent instructions. One of my favourites. Positives: Visually stunning, sensible logic, fitted the visuals and story from the film. Negatives: Instructions scrolled slowly. Ambiguous use of a red cross. Next up was a room full of red lasers. Cool. We wouldn’t be making the same mistake as last time and were careful not to touch them. We read through the instructions carefully (and slowly) and eventually came to the conclusion that we had to block them all. Perhaps that reversal of the previous laser puzzle was clever but, at the same time, it’s teaching you one thing and then forcing you to break the rule. I’m not entirely sure how I feel about that. We got in place and started blocking all the lasers. It was surprisingly tricky to get everything lined up, but it was nice doing a laser challenge where my relatively large size gave me an advantage – usually it’s hard to contort myself to avoid setting off the alarms. Once the last light had winked out, a bunch more lasers appeared, but these were green. It didn’t take long to realise that we shouldn’t block the green lasers. Cue even more difficult contortion, but we soon got past the puzzle. Positives: Visually cool. Nice way of representing breaking into a firewall. Good variation on the puzzle by adding green lasers. Interesting physical challenge. Fairly clear logic. Negatives: Contradictory rules about lasers – in puzzle 2 we weren’t allowed to touch, now we were. Physically relatively tough for some people. The fifth puzzle was a simple logic problem with a twist requiring you to carry it out while balanced on a narrow ledge – the floor was supposedly electrified and touching it would give you a penalty. The wall consisted of a 6×4 grid of holes with each column and row having a corresponding light. Four of the holes had permanent pegs in them. Four more pegs were balanced on the far end of the ledge, which ran along the wall with the grid. At the start of the puzzle, some of the lights were on and some were off. When we retrieved the pegs and started putting them in holes, it seemed like putting in a peg caused the light in the corresponding row and column to toggle between on and off. Ah – it’s a simple parity puzzle! We should be able to do that with ease! A few moments later, we had seven pegs in the holes and all the lights on. The instructions were clear, though: you needed all eight pegs in the holes. Hmm. We played around a bit and then I went through the logic in my head and came to the conclusion that there must be a clever rule that I was missing – it was impossible to get all eight lights on and all eight pegs in from where we were if adding/removing a peg would toggle the lights in that column/row. I tried putting the spare peg into 12 different holes but each one worked as expected. Time was passing, so we had to call it a day and take a clue to get past. Talking to other players, no one was certain how this puzzle worked, but those who were most confident said that it was just the simple rule that I understood. I’m more and more convinced that it was broken but I had no way to prove that in the competition, and calling it incorrectly might have resulted in a separate penalty. Positives: Fun physical challenge that should have been very achievable from a logic point of view. Audible feedback when you got a penalty! Negatives: All members of the team had to take on the physical challenge. Puzzle may have been broken. After taking a clue, could still pick up a penalty. Don’t be fooled – the colours weren’t anywhere near as clear as this in the room. My least favourite puzzle. We were split into two sides of a wormhole separated by two glass portholes and a metre or so in between. On each side we had seven bricks. Next to each porthole there was space for six bricks. We read the instructions which explained that we had to entangle the qubits to progress. It also said that you couldn’t hear the opposition. I was told later that it said “Silence”, but it was either not present or we didn’t notice it. As you’ve probably guessed, shouting during the game resulted in a penalty. That would have been annoying but there was no player feedback so we haemorrhaged time – losing points for shouting, points for taking a clue and the time it took us to get that far. And yes, we needed a clue. Three of our team couldn’t tell the difference between two of the colours, which made the puzzle nigh on impossible. And, even if you could, it was pretty damn hard. The rooms were pretty bright because of the lighting required for the camera, so it was really hard to see the bricks’ colours. This was another puzzle where they’d given you a clue in the reading homework the night before – there was some information about how qubits could be entangled and that, when that happened, they’d end up with “opposite” colours. The irony was that we understood how to solve the puzzle perfectly but couldn’t because of our colour vision issue, which just added insult to injury. Postscript: it turns out that we didn’t know how to solve the puzzle because the symbol used to indicate entanglement, present on both the research paper and the puzzle itself, was flawed: the “opposite” colours were present in a way that was misleading. There were also a couple of red herrings: each space for a brick had a number on it, which suggested there was some special ordering, while the bricks themselves had dip switches with numbers visible, which made it look like there might be some link-up. Finally, there were seven bricks when only six were necessary to fill all the holes. Positives: I couldn’t find any. Maybe science? Negatives: Red herring by having an extra unnecessary brick. Skipping the puzzle was almost certainly the right choice for most teams (hardly any of them finished, and I think they took more than ten minutes). Heavily colour-based puzzle ruled out many people and made it impossible for our team. Silent penalties. Lack of instructions on what to do. Reliance on information from outside the game. Exposed parts of hardware causing additional red herring. The final puzzle involved building a series of polyhedra embedded inside each other out of some plastic rods. The first piece was put in the base and then the rest were scattered around. By this point, we were struggling and disheartened. We muddled our way through the level but never got the cube together. I think, with a bit more time, we might had a chance – this required calmness and we had nothing left on that front. Positives: Logical puzzle that was instantly understandable. Negatives: Didn’t really seem to fit the story. Pieces of plastic started to fall to pieces. Testing. In my opinion, the number one failing in all of the above was testing. Whatever games you create, if you test them sufficiently, you’ll spot the flaws. There were just so many ways in which this game was flawed that you have to assume it had insufficient testing. That would be disappointing for a normal games-mastered game which had just opened, but this was the world championship. There shouldn’t have been a single flawed puzzle. Faith in the game. I’ve talked in plenty of reviews about losing faith in the game. When you encounter the first puzzle which seems illogical, you lose mental energy trying to get past it and then lose faith in the designer and, therefore, in anything happening later in the experience. The first two puzzles in this game left us incredibly unsettled – we pretty much fluked number one, never understanding what we were meant to do, and then, alongside many other teams, really weren’t sure whether the second puzzle was even a game at all rather than simply a part of the decoration. It’s hard to explain how much that threw teams off their game. Colours. OK – maybe I’m bitter about this because I’m colour-blind, but please don’t have puzzles that require good colour vision in the room. More importantly, though, if you’re going to have those puzzles, make sure that colours are very different (hint: orange and yellow are bad choices) and very clear (small LEDs in a brightly lit room aren’t the best choice). It’s also a particularly bad choice for a communication puzzle – given you could split up pretty much any puzzle in this way, why do it for one where there’s a significant risk that one of the participants will be significantly hampered? Or, in our case, three. Instructions. Escape rooms shouldn’t need instructions – what you have to do should be intuitive. 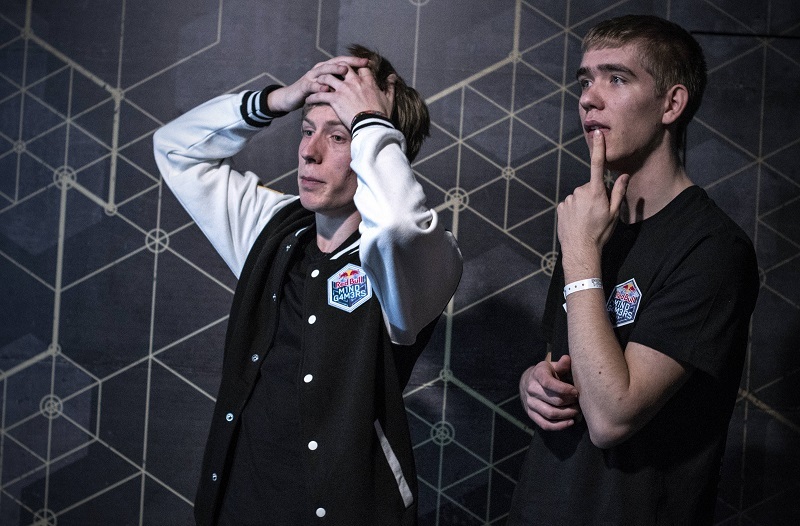 The world championship certainly shouldn’t have instructions in English. If you do have instructions, they should be unambiguous and quick to interpret. You shouldn’t have to wait while three or four very slow screens loop to find out what to do. This is a high-speed competition and it’s such a break in the flow! I played 20+ rooms while I was in Budapest, designed by people for whom English almost certainly isn’t a first language, and it’s a damning indictment of Mind Gamers that the biggest challenge I had with following instructions was in a room designed and delivered in English. I feel sorry for all the non-English speakers that were competing. Finally, you shouldn’t have to remember parts of a text you were given the day before – everything required should be repeated in the room (and ideally not given as homework at all). Penalties. I’m not a big fan of penalties in escape rooms, but I accept them in some scenarios. I can’t ever accept penalties that happen silently and then repeatedly. 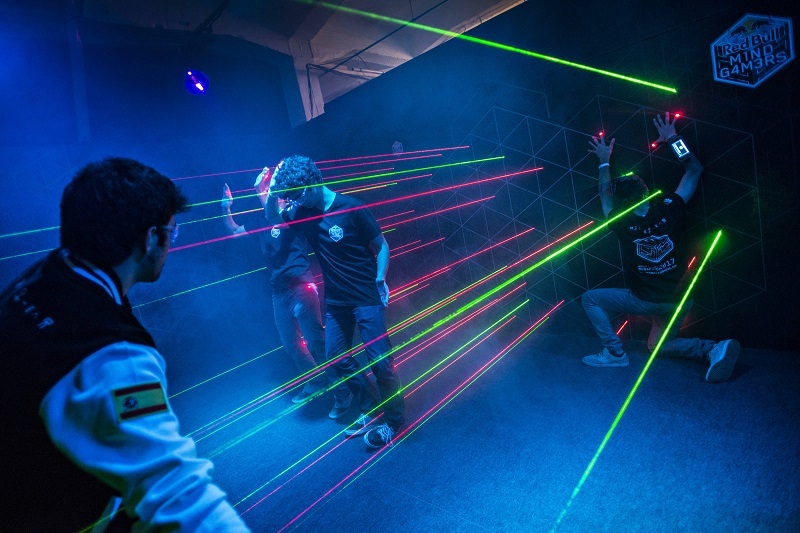 The laser corridor and the wormhole/qubit challenge cost teams many minutes in their games without giving them any warning. It would have been easy to add klaxons to each part of the game and then sound the klaxon every time a penalty was incurred. Clues. The clues they gave bypassed the games, but there was some level of ambiguity about what that meant. The instructions indicated that you might just be told how to get past the game rather than being passed straight through. In the Qubit challege, that left one team taking 25 minutes to successfully complete it while, in the peg wall challenge, it wasn’t clear whether the electrified floor would still give penalties (it did). It’s frustrating, in particular, that the best strategy on the Qubit challenge was probably to wait five minutes in silence and take a clue. Personally, I think the process they used in the final would have been the best option – each round could take no longer than ten minutes. Don’t give clues, just move the teams on after they’ve lost ten minutes (through a combination of clues, elapsed time and penalties). Was this an escape game? I’m going to be controversial and say “yes”. I know that’s going to frustrate a lot of enthusiasts (and all of my team mates) but, for me, this still had enough of the elements to fall under the broad umbrella. In the end there’s no real definition for what is or isn’t. My problem with it was that they called it an escape room world championship. If you’re going to give it that title, then you shouldn’t be experimenting at the very edges of what the most liberal definition of an escape room might encounter. There should have been no argument over whether or not it was an escape room. That’s all from me for now. 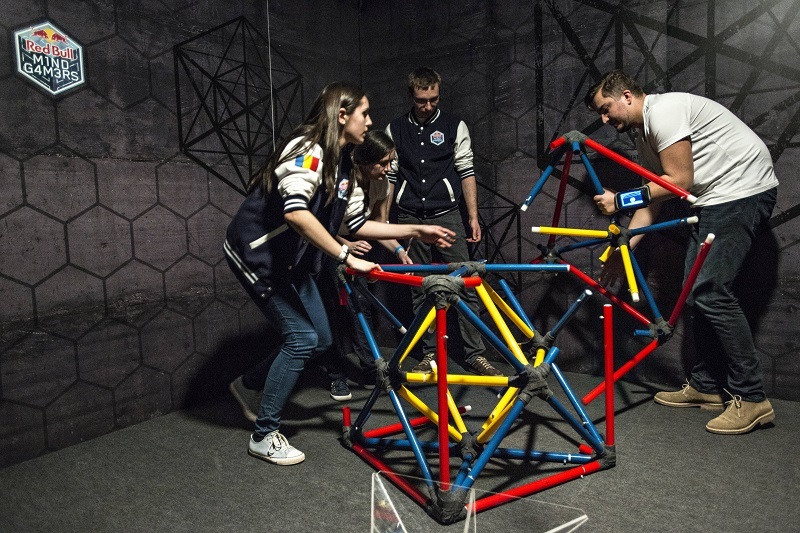 I’ll follow up soon with a report on the full experience out in Budapest, including mention of the most bizarre escape room I’ve ever played, getting involved in a Snapchat promotion, playing a bunch of local escape rooms and meeting plenty of new faces.